Tulare, CA – October 15, 2018…Excitement and buzz is floating through the air as one of the biggest weeks in California Sprint Car racing has arrived, which means only one thing, it’s time for the 25th annual Trophy Cup at Merle Stone Chevrolet Thunderbowl Raceway in Tulare. 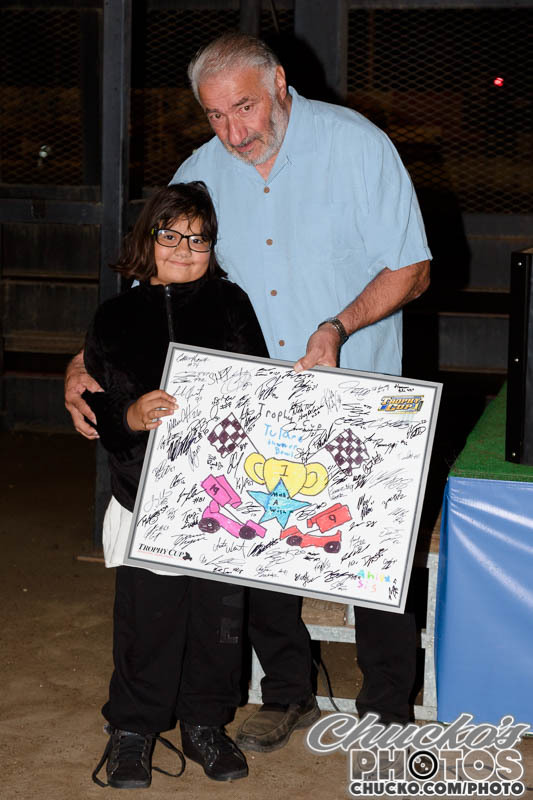 The Rico Abreu Racing Trophy Cup presented by Rudeen Racing is not only known for featuring some of the best racing seen all year long, but it’s also well regarded for being held to benefit one of the truly great organizations around, the Make-A-Wish Foundation. 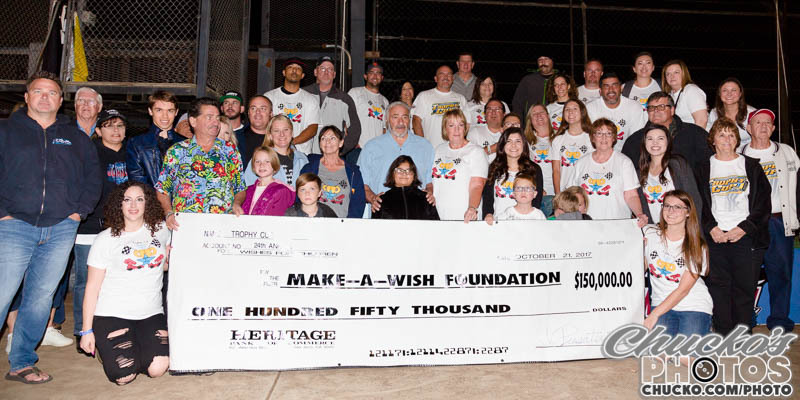 With the Trophy Cup donating $150,000 at last year’s event it brought the total amount of donations up to a staggering $1,570,000 since the event was created back in 1994. This weekend marks the 14th occasion that the Trophy Cup will be held at Merle Stone Chevrolet Thunderbowl Raceway in Tulare. All cars that start the Saturday A-main are guaranteed at least $5,000 in weekend winnings and the overall champion is guaranteed a stout $25,000 in winnings. The three-day extravaganza features an event record $200,000 overall purse. Past Trophy Cup winners entered for this weekend include two-time and defending champion Shane Golobic of Fremont, along with two-time victor Jac Haudenschild from Wooster, Ohio; plus single-time winners Bud Kaeding from Campbell, Willie Croft of Roseville and Fresno’s Craig Stidham. Driver’s looking to take home the Rico Abreu Racing Trophy Cup presented by Rudeen Racing for the first time will include Paradise, California’s Kyle Hirst; Fresno’s Dominic and Gio Scelzi; Minden, Nevada’s Tanner Thorson; Lemoore’s Carson Macedo; Clute, Texas’ Aaron Reutzel; Altoona, Iowa’s Terry McCarl; Rutherford’s Rico Abreu; Aliquippa, Pennsylvania’s Tim Shaffer; Hanford’s DJ Netto; Penngrove’s Buddy Kofoid; Clarksburg’s Justyn Cox; Watsonville’s Justin Sanders; Roseville’s Sean Becker and Colby Copeland; Hanford’s Mitchell Faccinto; Hollister’s Ryan Bernal; Visalia’s Steven Tiner; Mount Vernon, Washington’s Jason Solwold; Kokomo, Indiana’s Parker Price Miller and many many more. 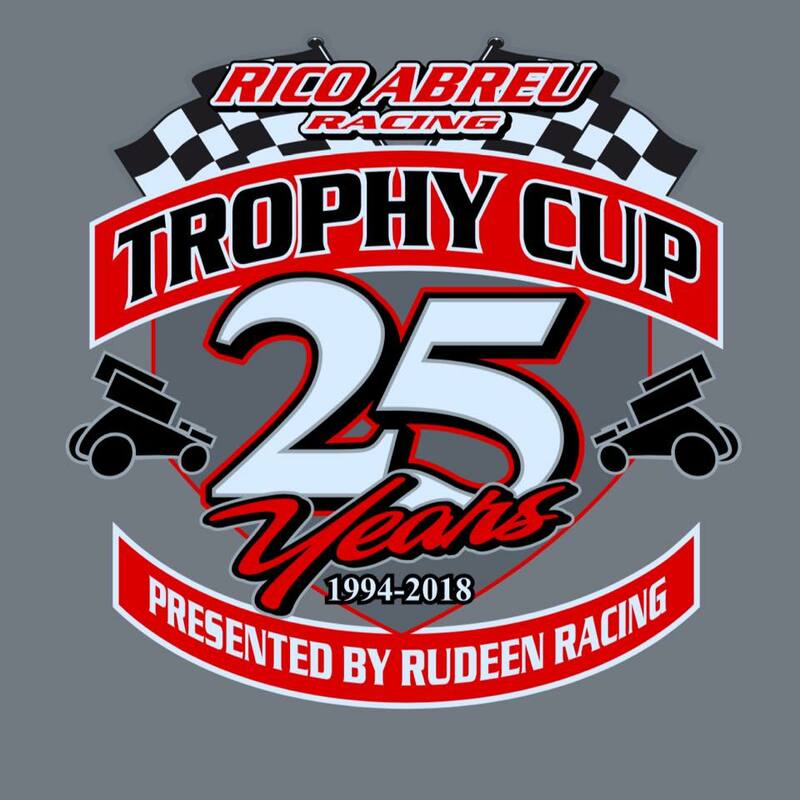 Tickets continue to be on sale for the Rico Abreu Racing 25th annual Trophy Cup presented by Rudeen Racing with all seating in the house reserved during the weekend. Adult grandstand tickets cost $50 on Thursday and Friday and $55 on Saturday. Bleacher tickets are $45 on Thursday and Friday and $50 on Saturday. Kids pricing and senior pricing is also available. A seating chart is online at www.thunderbowlraceway.com and tickets can be acquired by calling 559-688-0909. The pit gate opens at 10am on Thursday October 18, with the drivers meeting at 3:30pm sharp. 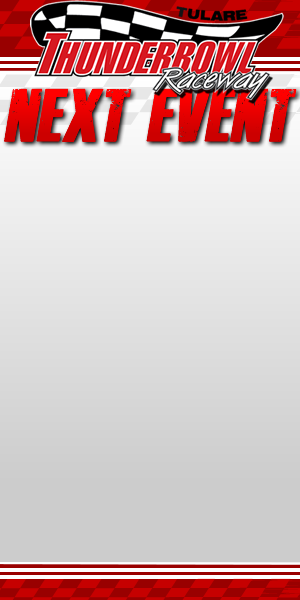 Qualifying is scheduled for 4:45pm, with first race at 6:15pm. All the special events that have become so popular are returning once again, including the Thursday Chili Dog Night sponsored by Taco Bravo, the Taco Bravo Fiesta Night on Friday and the Saturday afternoon spaghetti feed sponsored by La Villa Delicatessen. The post-race parties start 20 minutes after the checkered flag, while the spaghetti feed goes from 1:30pm to 3:30pm. A DJ will be on hand for music, with drinks available for purchase inside. A Friday morning breakfast sponsored by the Tulare County Fairgrounds will also occur from 8am to 11am. Thursday’s Chili Dog Night features razor bike racing, which will have a $1,000 total purse. Entry’s into the bike races are $10 and limited to 120 participants. Bikes have been sponsored by former champions Brent, Bud and Tim Kaeding, Willie Croft, Shane Golobic and Jason Meyers. The bikes will then be autographed by each and auctioned off after the event to benefit Make-A-Wish. Friday’s Fiesta Night will then bring back the popular “Dancing with the Stars” contest. During Saturday’s Spaghetti Feed there will be a corn hole tournament that has a $40 entry fee. The winning team will receive $1,000, second place earns $650, third place gets $250, while fourth place receives $100. The corn hole tournament is sponsored by Osky Challenges, SE Inc., Hoosier Knoxville, Moyle Racing Engines, Soares Motorsports, Smith Titanium, HRP, Kustom Race Parts Knoxville, ART Speed Equipment and Maxwell Industries. Special thanks to all our partners for making things happen at Thunderbowl Raceway including Merle Stone Chevrolet, Budweiser, Tachi Palace Hotel & Casino, Roth Motorsports, KRC Safety, Western Metal Company, Southwest Contractors, Double “D” Towing and JD Heiskel & Company. The Merle Stone Chevrolet Thunderbowl Raceway is located at the Tulare County Fairgrounds on the corner of Bardsley and K Streets in Tulare, California. From the junction of SR 99 and SR 137, go west on SR 137. At South K go south one-half mile to the Fairgrounds.